I am so much in love with the By Terry Hippy Chic Summer Collection 2018 which I reviewed here, I have been loving to get ready in the morning just to play and use the beautiful products. 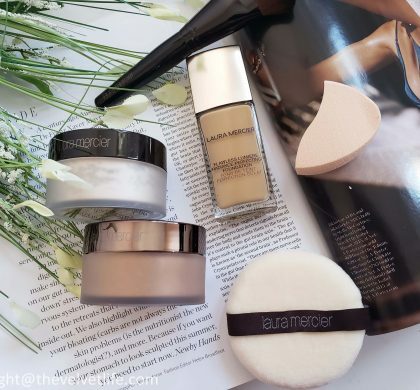 There are more exciting new launches from the brand, which are perfect for anyone who needs sun protection (and yes we all need that I know) and beautiful long lashes ( off course me too). 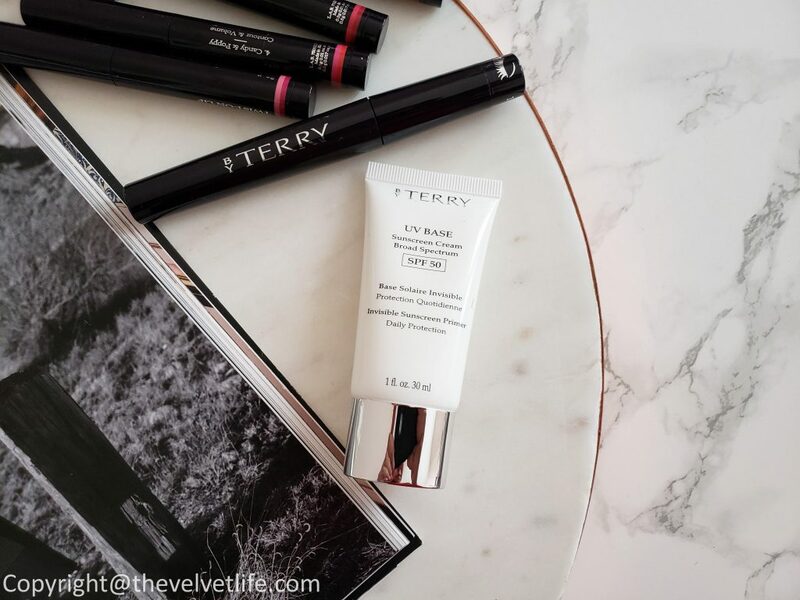 I am talking about the new By Terry UV Base Invisible Sunscreen Primer Broad Spectrum SPF50 and By Terry Lash-Expert Twist Brush. 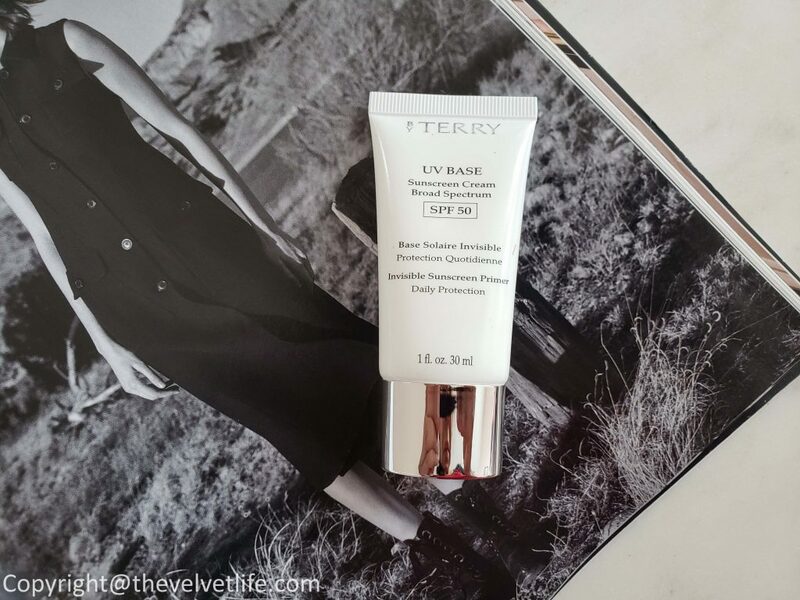 By Terry UV Base Invisible Sunscreen Primer Broad Spectrum SPF50 is an invisible perfecting primer that provides a high-level of broad-spectrum SPF 50 and helps skin fight against external factors (pollution, UV rays, stress). Enriched with antioxidant vitamin E and protecting UV filters, its fresh, lightweight gel-cream texture gives a non-greasy matte velvet finish for a perfectly even skin. 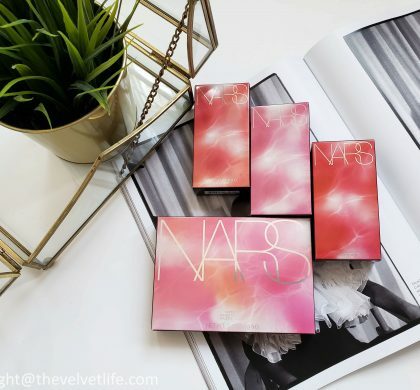 The primer has a translucent matte finish, the texture is gel-like and does not feel like other SPF’s in the market, there is no ashy or white-cast finish. The formula is super light-weight and is suitable for all skin types. With so many products for skincare and makeup, this is a really nice fusion of skincare and makeup properties into one. It provides sun protection and that too a high level of broad-spectrum, plus it helps give a smooth base for makeup application. 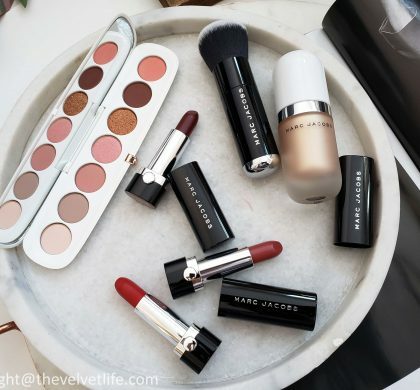 It can be used as just the last step if you are not going to apply makeup and if not, it has become my perfect base these days. I am totally in love with the texture, does not feel like sunscreen, it is gel-like and does not give the oily feeling after application. There is a little radiance which is an add-on, makes the skin look healthy and radiant. I did not experience any breakouts while using this base. The makeup did not roll off and stays on pretty well for the full day, I mean lasts longer than usual. 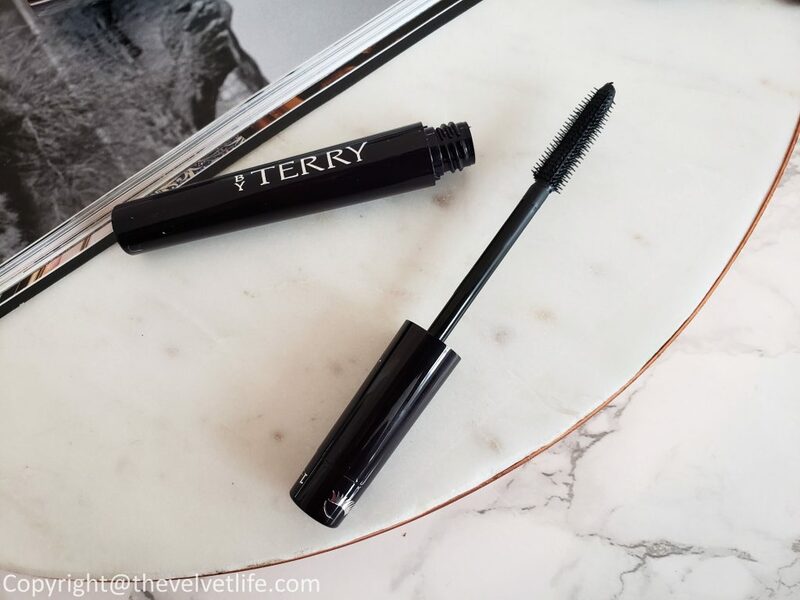 By Terry Lash-Expert Twist Brush with its “2-Step Twist” custom-brush system, this ingenious mascara combines simplicity and expert performance for an instantly professional result. Enriched with premium deep black pigments and natural protective oils (jojoba, olive, and avocado), its extra-workable texture may be stretched out and touched-up to create any look without ever smudging or flaking. The mascara is claimed to be everything you need for volume, length, shape, and curve. This new multi-tasking mascara bends itself to your will to customize each and every lash as you need. It has high-technology telescopic-brush, fitted with a super smart twistable mechanism that allows you to advance or retract the brush head to make up your lashes exactly as needed, uber-dramatically or naturally deeply defined. Made of elastomer fibers with ‘sensor’ pins, the brush catches every single lash for limitless possibilities. The innovative formula of the mascara is designed to enhance and nurture the lashes. There are nourishing vegetable oils of olive, avocado, and jojoba, sculpting wax of rice, carnauba, candelilla, and restructuring hydrolyzed keratin make it a deeply conditioning formula, which ensures a perfect makeup effect and healthy-looking lashes. The waterproof polymers adhere to lashes with each customized brushstroke, building bespoke volume and length. The premium deep black pigments, offset and intensified with a touch of blue, magnify the rich, dramatic effect. The mascara is ultra-smooth and ultra-buildable, does not dry-out, flake or smudge. I have been really impressed by the innovative design of this mascara, a twist makes the same product do something else, it is a double duty mascara of course. Length and volume are the main keys of this and I have been using this for few days and been trying both the features as well as each feature separately. The effect and finish from both are really great, and I agree with the claims. My lashes look healthy, naturally voluminous and long. 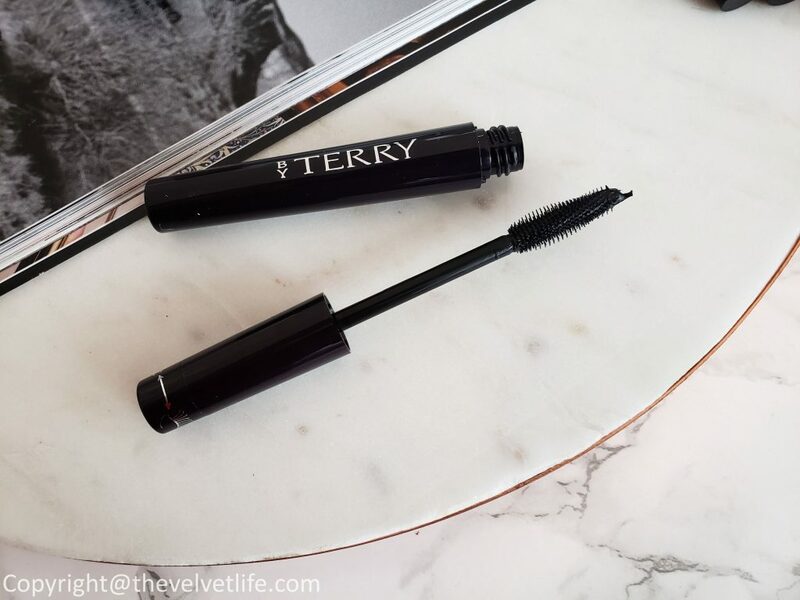 The mascara is easily buildable for a more intense or dramatic effect. The mascara does not smudge, flake, or dry out. Even at the end of the day, it looks great and moreover, is really easy to remove with the right eye makeup remover. I am really impressed and been using these on heavy rotations. Follow me on my Instagram to see the before and after pictures, along with my looks. 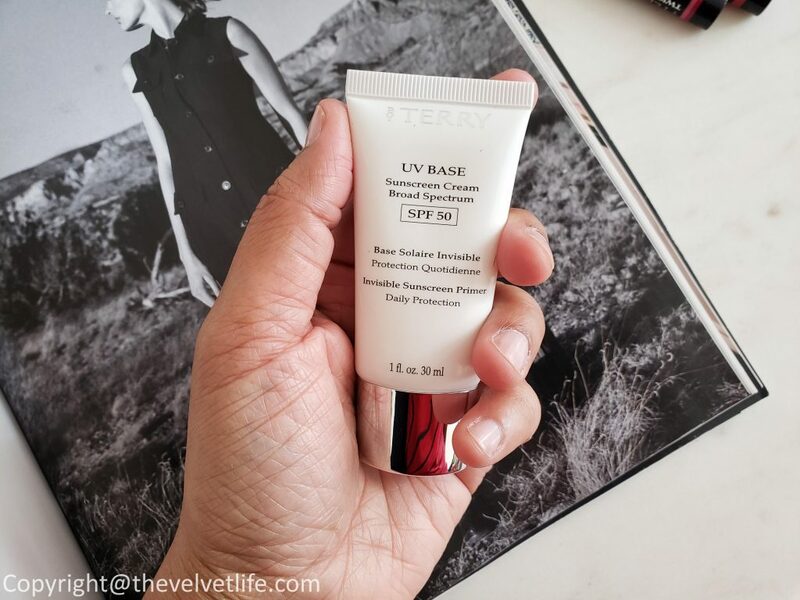 By Terry UV Base Invisible Sunscreen Primer Broad Spectrum SPF50 and By Terry Lash-Expert Twist Brush are available at Nordstrom, Barney NY, Beautylish, Spacenk, Cult Beauty, NetaPorter.